Why are South Koreans angry -and enraged- with the U.S.? Why would a speed-skating incident cause anti-Americanism? How did U.S. soldiers kill two girls, and who was at fault? If the deaths of the two girls was an accident, why are South Koreans protesting? Is the U.S. SOFA with South Korea unfair? Why is such misinformation not challenged? What other issues cause anti-Americanism in South Korea? 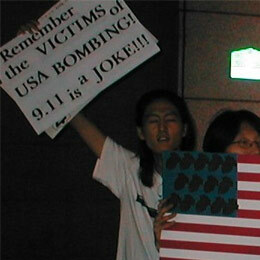 Question1: Why are South Koreans angry -and enraged- with the U.S.? Question3: Why would a speed-skating incident cause anti-Americanism? Question5: If the deaths of the two girls was an accident, why are South Koreans protesting? Question6: Is the U.S. SOFA with South Korea unfair? Question7: Why is such misinformation not challenged?